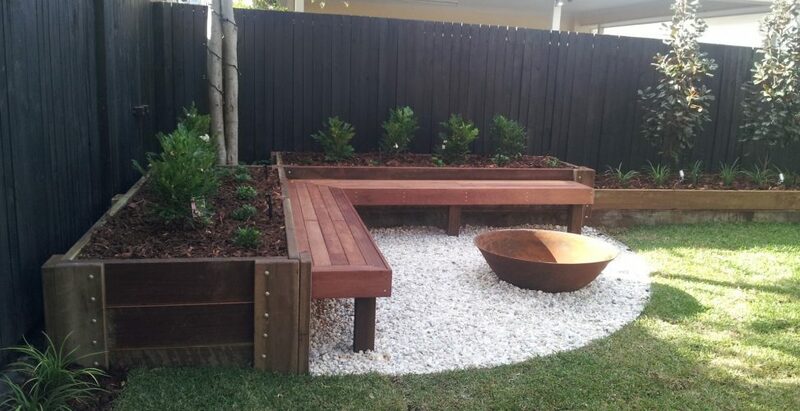 Dense planting and clean lines to provide a multi-functional, family friendly space that can grow with the family. 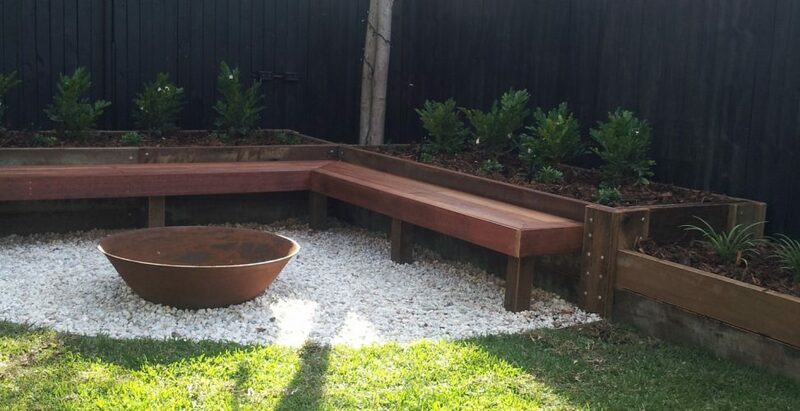 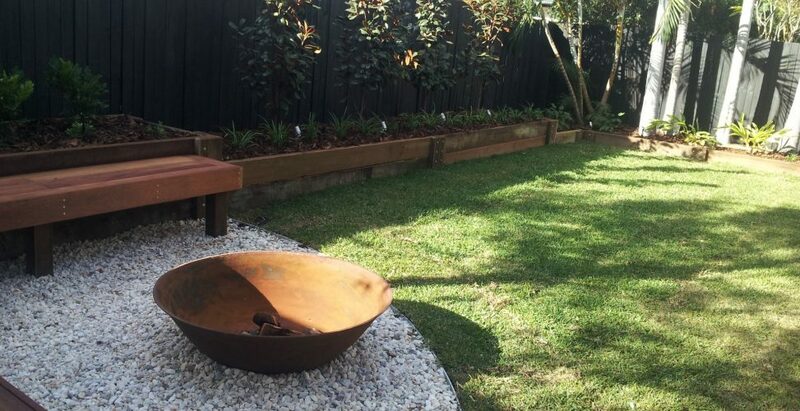 The fire pit created here gives the narrow back yard another purpose and is suitable for a family with younger and older kids. 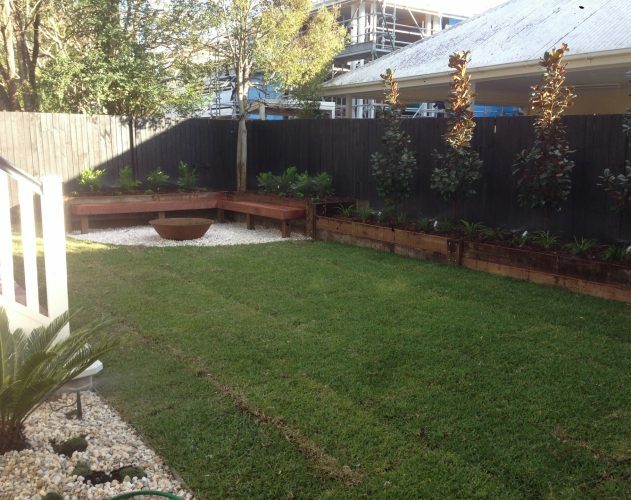 The planting along the back of the property helps to screen neighbours but also give the client a sense of enclosure, privacy and security. 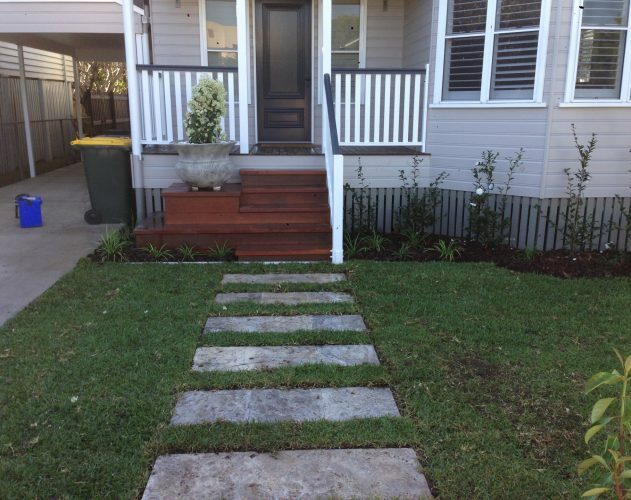 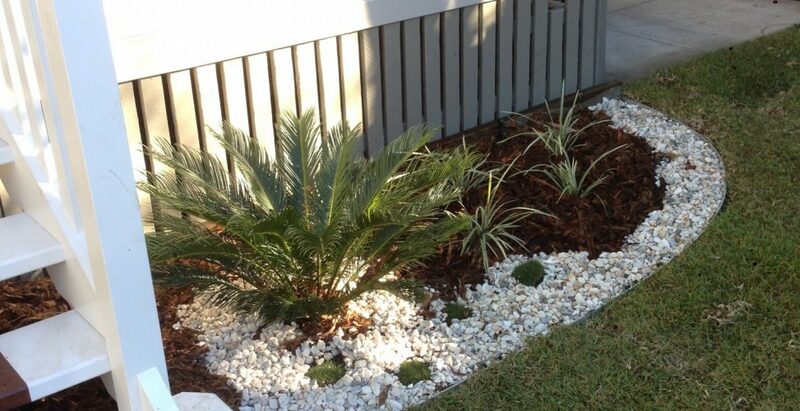 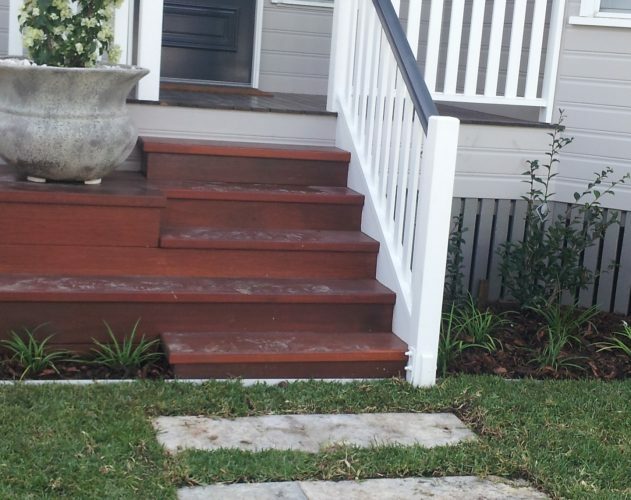 The simple, “tidy” style of landscaping at the front reflects the character of the house and compliments the Queenslander cottage style present in the architecture.